Want a say in the future of transportation in Chester County? Officials are seeking public input. The Chester County Planning Commission (CCPC) in partnership with the Delaware Valley Regional Planning Commission (DVRPC) is developing a countywide Public Transportation Plan to guide transit operations and capital improvements in Chester County. 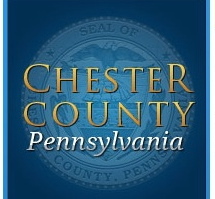 Residents and project stakeholders are invited to a meeting at the Chester County Library and District Center in Exton on Wednesday, Feb. 5, from 6 to 8:30 p.m., a county news release said. Attendees will have the opportunity to recommend desired improvements of public transit services in the county. They will also be briefed on the plan’s progress, analysis findings, potential performance measures, and draft recommendations. In addition, the results of the 2013 public workshop held in April 2013 at the Chester County Historical Society will be reviewed. The meeting will begin with an open-house format; a formal presentation will start at 7 p.m., the release said. DVRPC’s Office of Transit, Bicycle, and Pedestrian Planning staff facilitated the first phase of the project, which entailed data collection, issue identification, and preliminary corridor prioritization. This work began late in 2012 and continued through the summer of 2013. The second phase of this plan – led by CCPC staff— is to develop goals and policies, define future transit corridors, and guide capital improvements throughout Chester County, according to the release. The Public Transportation Plan is targeted for completion in the summer of 2014. The county will then begin the process of adopting the plan as an element to Landscapes2, Chester County’s Comprehensive Plan. The adoption process is anticipated to be completed by the fall of 2014, the release said. The Chester County Library and District Center is located at 450 Exton Square Parkway, Exton, 19341.